My little guy is going through a Batman phase (as many little boys do), and he was beyond excited when he saw a BIG bag of Batman toys sitting in the backseat of the car that one of my coworker’s son had given to him. I told Aidan (my son) that we needed to send this little boy a thank you card for being so generous and giving him these great toys. 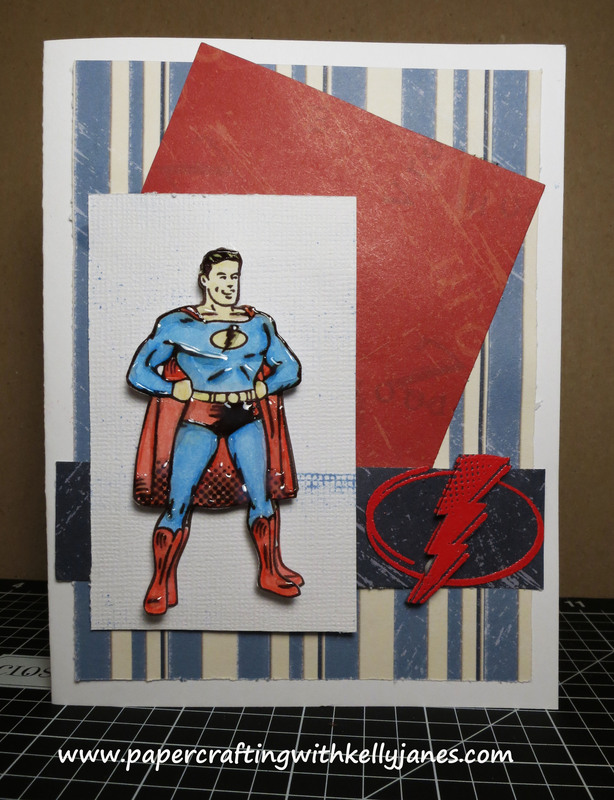 I have a retired stamp set (Super Powers) from CTMH that isn’t Batman themed but it does resemble Superman, so I thought I would try sticking with a superhero theme for the thank you card. I came across a sketch over the weekend that worked perfectly for what I had in mind. I stamped the superhero image twice, colored both images with Watercolor Pencils, and used a blending pen to help the colors have more continuity. I then used pop dots to give the image some dimension. Using Liquid Glass I went back over the shadowed areas of the stamp to give it more of an epoxy look. 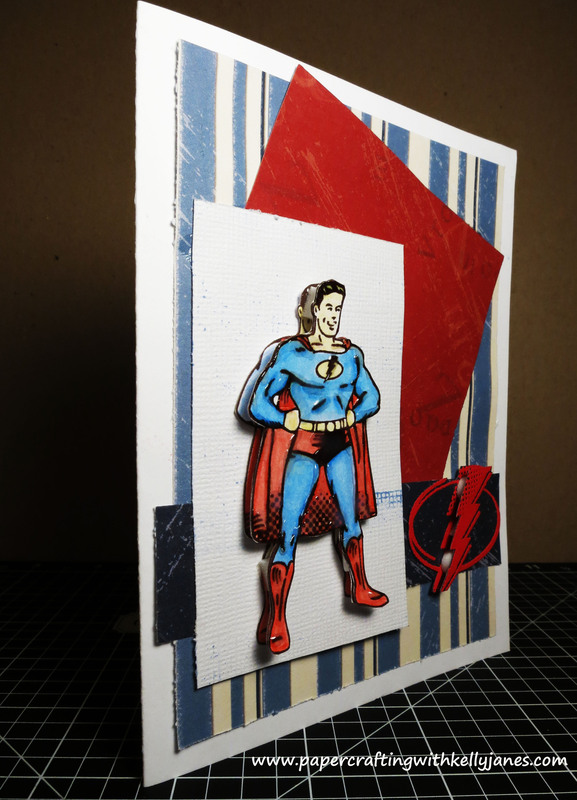 I used a similar technique with the lightening bolt stamp. I stamped the image twice in Versamark, used red embossing powder, and heat embossed the image. 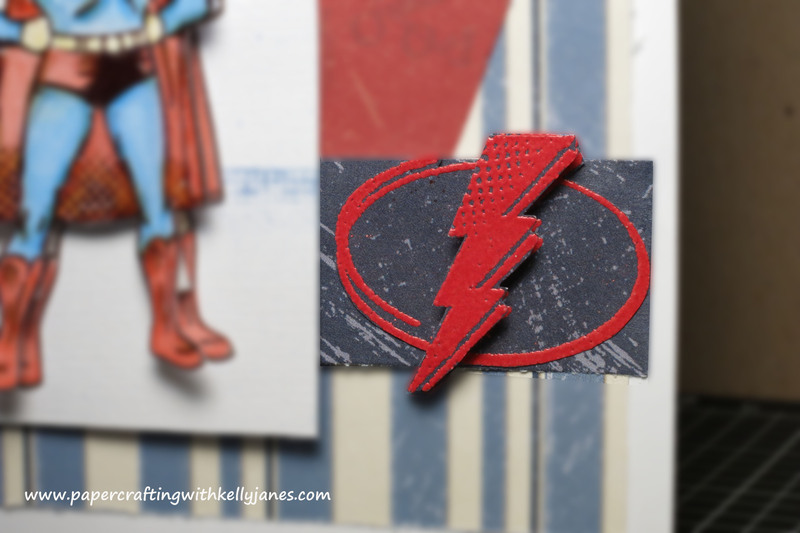 I then double layered the lightening bolt with pop dots to give it more dimension also. 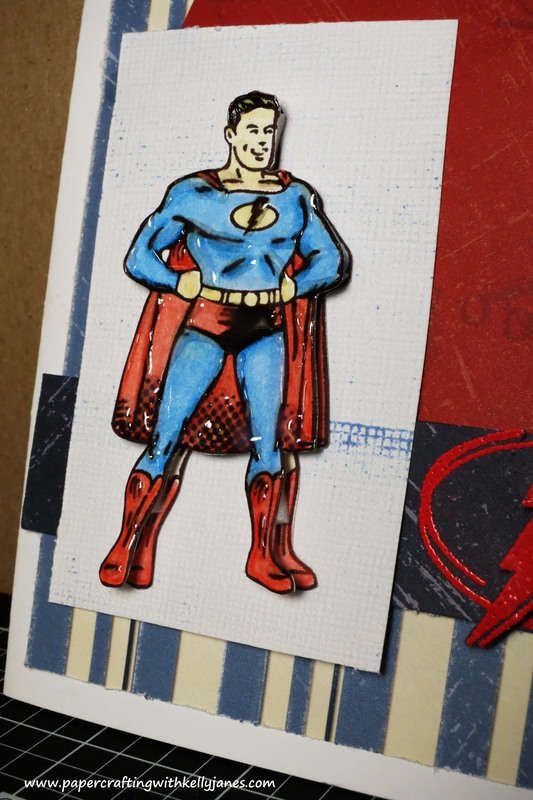 The white cardstock that the superhero image is adhered to looked a little too white so I used a background stamp (Universal Background) on the paper to make it look a little more muted. 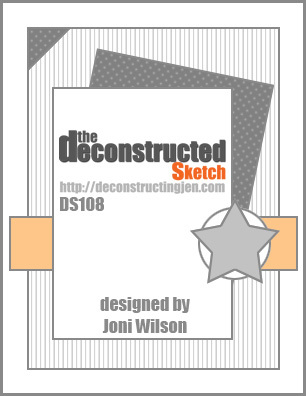 Using the Keyboard Uppercase Stamp Set I stamped the sentiment on the inside of the card. I love this stamp set! It’s like having a permanent collection of alphabet stickers in any color!! Awesome card! I’m sure he loved it.